A.APR.5 (+) Know and apply the Binomial Theorem for the expansion of (x + y) to the ﻿n﻿ in powers of x and y for a positive integer n, where x and y are any numbers, with coefficients determined for example by Pascal’s Triangle. 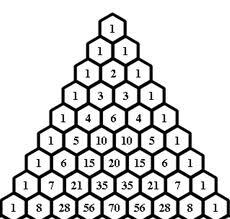 How is Pascal's Triangle created? What is it's connection with binomial expansion? How do you find a specific term in the Binomial expansion Sequence? 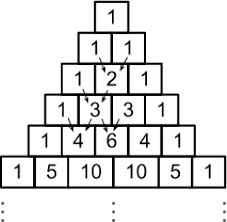 Watch the video on Pascal's Triangle and Using Pascal's Triangle to expand a binomial. Step 4: Watch a video on Expanding a Binomial with the Binomial Theorem. Take a Lesson 6-8 Quiz.